When dealing with the organisation of any business operation, it's important to remember the end result. That is improving the customer experience management to help serve their core clientele. Although this can be overlooked when managing behind the scenes, it's important as the customer is essential in any successful venture. In adapting any processes to serve the overall functionality of the management, the end goal can't be forgotten. Even though these processes won't affect the customer directly, they can improve the company as a whole. Thus, with operations more streamlined, it's easier to successfully serve the client quickly and efficiently. Firstly, it is important to gain an understanding of how the customer interacts with the business. From this it is then possible to derive how they orbit around the management processes. With a clearer perception of how everything correlates with one another, a more comprehensive system can then be organised. When using business processes, it is also possible to add a sense of professionalism to the overall operations. This means that the customer experience management is far more credible for every user at all levels. With credibility comes more clientele as they seek out a company they feel most comfortable using. Integrating management processes into the daily interface that customers experience is also becoming increasingly complex. With a whole range of different technologies and applications, it's easy to let inefficient processes cause an obstruction. Using business process management though, will enable the company to iron out any inconsistencies in their operations. Streamlining everyday operations is the key to running any successful business, and this can begin with management. Ensuring effective customer experience management fits into this, as they go together like puzzle pieces. It isn't difficult though, if they're all broken down and the role of each process is examined individually. What Can These Processes Offer the Customer? Using these processes allows the company to interact with the customer on many different levels. It's essential to make sure they're engaged with both customer services and the product. This can be based upon both rational and emotional responses, which is something that needs to be accounted for in management. As the company begins to evolve, so shall the processes, which will in turn advance the customer services as well. This means that the customer experience management will be able to keep up with the ever-increasing demands of the marketplace. Design of the processes themselves, therefore, must take this into consideration. Planning the processes will allow any company to clearly map out how they are to progress. This may initially appear to be a lot of effort, but when considering the final result it's definitely worthwhile. Optimising operations to their fullest will allow the company to become far more streamlined than before. With the wants and needs of the customer fully acknowledged by the management processes, then a more successful venture will begin to emerge. This is the key to quality customer experience management for any company. After that, the competition should begin to pale in comparison to a more rounded business model. Firstly it's important to define the key processes after working out the company's main aims. These can then target each function of the business individually. With that the managers themselves can then be expected to work within their own parameters, as they will be fully aware what they're working with. Next is making sure company resources also work inside these parameters. The customer experience management should be able to integrate processes such as IT in order to offer a fully functional service. They must collaborate with each other easily, so that the design interface can develop to meet evolving demands. Those working directly with the customers will require easy access to information and resources. This means the processes must remain invisible here, so as not to obstruct their work. After this, it's important to get a good grasp of the statistics and metrics in order to further hone any processes. Technological advances are an important part when considering how processes are going to evolve over time. This has to be well-established beforehand, so that change can be accounted for in regards to the constant progress happening within this area. When this has all been implemented, a centre of excellence can then be formed. 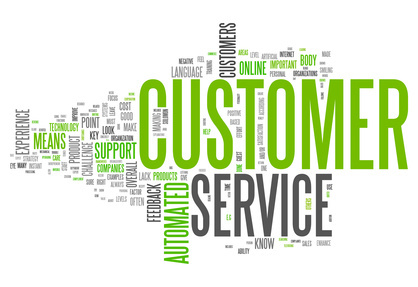 Adapting processes to fit into the overall customer service is something that should be managed at all levels. With this comes streamlined customer experience management and a more successful company. Using a sharply defined methodology for each step of the organisation will then be beneficial when directly engaging the customer.